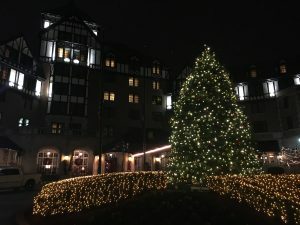 Hotel Roanoke decorated for the Christmas Season. The destination for Stagg Bowl Week and for the men’s Championship Weekend in March. Hello again! Sorry about not getting my blog/ballot out last week. Stagg Bowl Week is always hectic and considering I have to squeeze my voting in to a window surrounded by packing, preps, and countless coordinating emails and phone calls it is a miracle I remember to vote most Stagg Bowl Weeks! I intended to write the blog, but didn’t have time. I wanted to write it because I was one of the three voters who stuck with Babson as my number-one team. Why? 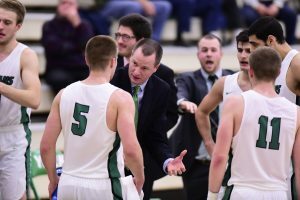 I didn’t see anything in Babson’s double-overtime, on the road, final-shot-loss to Amherst that proved they weren’t the best team in the country. Yes, they lost. Did you expect the number one team in the country to go undefeated? I didn’t take my vote away from Augustana last year when they lost a conference game. I expected them to lose, especially on the road, in the conference. I wasn’t voting for Babson this year because I thought they would go undefeated. And they played well. Amherst also played well. However, I didn’t think Amherst out-played Babson. I didn’t think Amherst was the better team. They simply won the game. They hit the last shot. So, I stuck with Babson being number one. I felt better with Amherst who I was nervous having at number-three, so moved them to second. Now to this week. Amherst goes on and losses to Springfield. Ouch. So, they were up for playing at home against Babson and fought to win that, but then weren’t up for playing Springfield? Not good. Babson at Amherst lived up to the hype, but didn’t change my mind as to who the #1 team in the country is right now. Again, that was LAST week’s Top 25 ballot. Not this week’s. Just giving you a chance to see where I had teams last week. In hindsight, I might have been too kind per that loss to Springfield. My initial thought is I wasn’t going to punish the Purple and White because again, I didn’t expect them to go undefeated and I’m not shocked they lost on the road after beating Babson. However, that last part is what really concerns me. If they are that good, they should have beaten Springfield. What it came down to for me was that I didn’t know where I would have put Amherst. Everyone below them, or in the Top 25 in general, is flawed. Trying to figure out who has the least number of flaws is tougher than determining who is better. I did my best to watch the Blues play Wooster while I was on the air with Hoopsville Sunday. I noticed two things: Whitman at least continued to play well and beat a solid team; Whitman has me nervous because it shouldn’t have been that tight. Yes, Wooster is a good team, but not off to a great start. Whitman is off to a great start and was playing at home (not dealing with travel like Wooster)… but they didn’t dominate or control the game like I expected. Again, I wasn’t able to watch as much as I wanted, but the result did make me nervous that maybe I am riding Whitman too much. This might surprise some people (since the Captains fell four spots this week), but I wasn’t about to move CNU because they lost on a half-court heave on the road at another Top 10 team. I am not sure what other voters were expecting besides a win. The game lived up to exactly to the expectations I had including being a defensive battle between two pretty good defensive teams. Now, I do realize I now have a two-loss team in my top five, but those two losses are to fellow top ten teams. I am giving them some leeway because they are that good. I also know Salisbury has to travel to Newport News. That will tell us more about both teams. So far, CNU hasn’t proven they aren’t a very good team this year despite two losses. The Sea Gulls beat CNU. 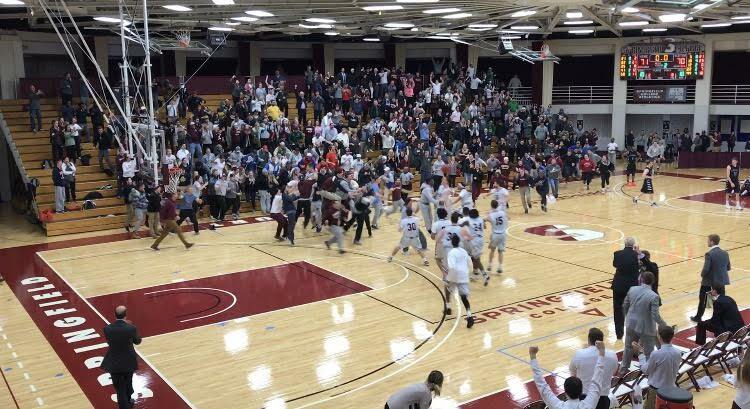 But they aren’t going to move much higher when the win was because the Captains purposely missed a free-throw and Salisbury was able to hit a half-court heave for the win (see below). Let’s not read too much into it other than that. Salisbury won at home against a very good team which will help them down the road, but it doesn’t do more than make me feel more secure with thinking they are a Top 10 teams, right now. North Park’s Juwan Henry is one of two D3hoops.com Preseason All-Americans who could make this season a special one for the Vikings. I didn’t get a chance last week to explain my big jump with the Vikings. I realize they had lost to Carroll coming into last week’s ballot, but I couldn’t ignore the fact that they have two preseason All-Americans who are averaging 20+ points per game each and that North Park could very easily have a magical season on their hands. Previously, I was concerned it was just a two-headed team that would struggle otherwise. However, the rest of the team is clearly contributing and making them a rather deep squad. I may have been late to the party, but I like what I see. Not much I can say about the Cardinals except that maybe I expected too much from this team earlier this year. They are coming off a loss to an NAIA team which is usually hard to read in to, however other Division III schools have beaten the same team, so I can read into it a little bit. I guess I am just left with more questions coming the holiday break about NCC than I did in the preseason. I might be giving a little too much credit to the Cardinals. I would be lying if I think I have bought in too much here. Wesleyan is undefeated and we know they have been building this squad for years. However, they have two wins of note over Williams and Hartwick who have good records, but have mainly beaten teams with below .500 records. Matt Noonan shared his thoughts with me on Hoopsville Sunday night. Certainly worth considering. But for now, Wesleyan looks to be playing well. Let’s see what happens in 2017. 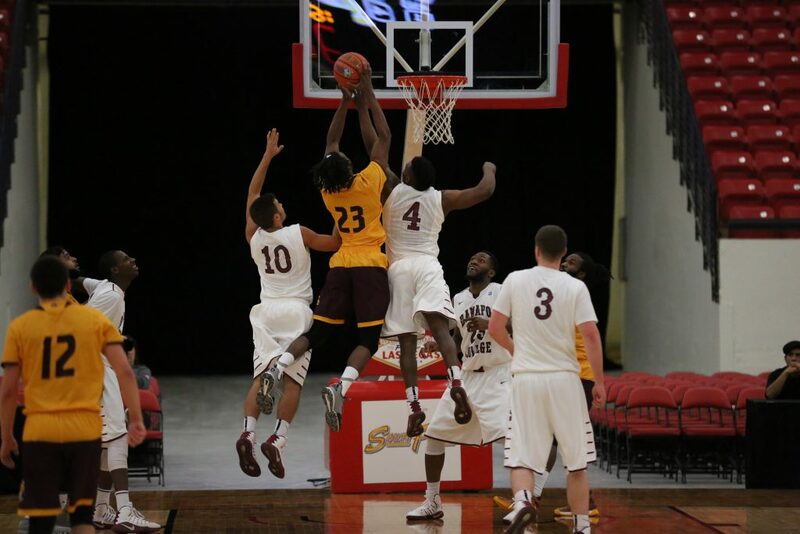 There are a few teams in the IIAC that may be worth considering this season. The conference out-of-conference success this season has been impressive. Could the conference finally be in a position to break through to the next level? Well, we won’t know until March, but in the mean time I like what I see from Wartburg to start the season and they have a few others in the conference worth keeping an eye on. The SUNYAC is a conference worth watching once again this season. It could be an epic regular season battle and very easily could be the reason some Pool C team has their bubble burst thanks to someone unexpected winning the conference tournament. I have had quite a few people tell me Brockport is far better than you can see on paper or even video. The funny thing is I didn’t think Brockport would be the team to beat in the SUNYAC – I thought that would be Oswego State. And there are several other teams in the conference we could talk about. For now, I like what I see from Brockport maybe others will earn their way on my ballot as well. I finally got a WIAC team on my ballot. No, it wasn’t a mission or goal or anything. Just making note. I thought UW-Eau Claire would be the team to watch in this conference this year, but River Falls seems to have had a better start to the season. Maybe we will get that two-horse race at the top of the conference after all, just not from the duo we are used to. 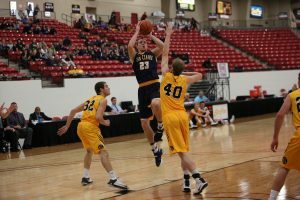 I look forward to seeing UW-Eau Claire at the D3hoops.com Classic which I hope helps me get a sense of whether this vote for River Falls is a good one. This vote for Neumann could be for a dozen teams. I could vote for so many instead of Neumann and still feel the same way. Unsure. Neumann? Neumann. Can’t tell you how many have been in my ear telling me about this squad from the pre-season until now. I am willing to give them the 25th spot for now. But, Neumann? Yeah. They apparently have put together that good a team while we were all distracted with Cabrini and even Gwynedd-Mercy over the last few years. I feel like I bought in too quick and too much with the Yellow Jackets. Three losses later and I am pulling the plug. Maybe I am being too extreme, but I was extreme in voting for them and then moving them up my ballot as high as 14. Are they good? I think so. Are they one of the best in the Great Lakes Region? Maybe. And that last part is what makes me pull them from my ballot. I need to see more. I may have gotten too excited on a couple of big wins at a time of the year when lots of teams get big wins. 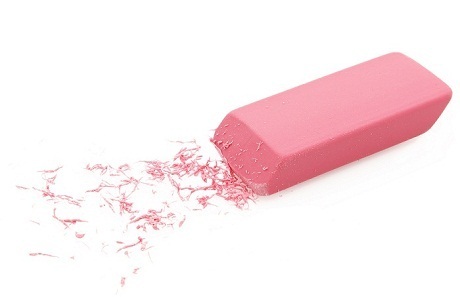 How many times have we seen a team start really well only to then take a loss and it all falls a part? I am not saying it will fall apart with Baldwin Wallace, but maybe I was too reactionary. So there you go. My Week 4’s Top 25 ballot. There are a lot of teams I can’t get on my ballot. There are a lot of teams to consider – as many as 50 total. So many of them have unanswered questions or flaws that are tough to get a grip on. Am I missing someone that should be on my ballot? Sure. Are there teams on my ballot that you could argue shouldn’t be? Sure. That is why I am just one voter of 25. That is why opinions are great. That is why watching games each week is so much fun. I can’t wait to see what happens over the next few weeks and tackle this again with fresher eyes come 2017.